Powerful teaching from Paul McGuire’s prophecy and prayer meeting. 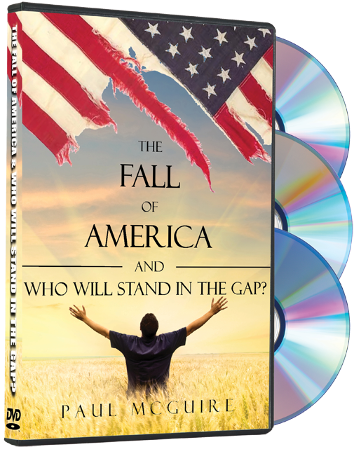 In these video’s Paul explains the convergence of unprecedented destructive events coming to America and how the only solution is for God’s people to “Stand in the Gap,” repent of their sins, intercede, pray and cry out to God. Paul McGuire clearly instructs from the Word of God and explains economic, social, geopolitical, spiritual and supernatural events that are happening in our nation now. Ultimately, you are either part of the problem or part of the solution! In this teaching Paul educates on how to go boldly to the Throne Room of Grace and come before God on behalf of our own personal lives and nation. If you want to see the judgment of God held back from our nation to whatever degree God may choose, then you must invite your “remnant” friends over to watch these powerful video’s and join you in prayer today!